So what are some clear benefits to using ORM? 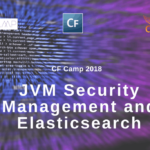 Hello and welcome back once again to our series, CF Camp 2018: Madness in Munich! Throughout the series, we have been discussing hot ticket items that will be discussed at this year’s upcoming CF Camp, the only CF conference in Europe. Today, we will be talking about ORM–or Object Relational Mapping. Often dubbed as the “Vietnam of Computer Science” due to its seemingly endless complexities, ORM can be a topic of debate among CF’ers. ORM is not devoid of benefit, however. There are some features that still make ORM relevant and useful. 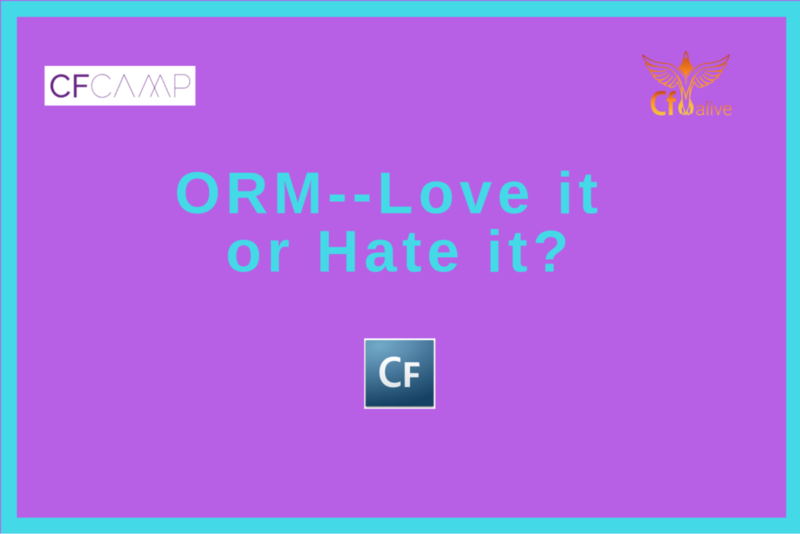 This article is inspired by Wil de Bruin’s upcoming Munich session titled ORM Love and Hate. There, he will discuss ORM as it has pertained to ColdFusion throughout the years. He will also demonstrate ways to make your ORM easier through the use of the ColdBox ORM Module. ORM means Object Relational Mapping. ORM as defined by wikipedia is a programming technique for converting data between incompatible type systems using object-oriented programming languages. This creates, in effect, a “virtual object database” that can be used from within the programming language. Many of today’s programming languages are object-oriented, including ColdFusion. However, all of the most widely used of today’s databases are considered relational rather than object databases. Eg SQL Server, MySQL and Oracle.This creates a need for there to be a mechanism to translate between the two. The explanation stated above is probably also one of the largest benefits for CIOs. As CIO, your business or team may need access to many of these external databases or an internally created relational database. Without the use of ORM, access to such information would be complicated at best. But… ORM can become extremely complicated itself. Yet, it is a necessary evil for many CIOs and CF developers out there. Yet, Luis Majano–creator of ColdBox, CommandBox, ContentBox, and President of Ortus Solutions–believes firmly in the power of ORM while accepting some faults it may have. They offer an object oriented model of databases. Developers of Object Oriented Languages do not have to shift paradigms when entering a database. Most mature ORMs come equipped with an SQL query builder. They help manage the database creation process. They help manage database schema changes. Only Value Objects and Entities may be persisted in them. There is a set standard to establishing outward references from Value Objects and Entities when thawed from the data store. Objects modelling machine resources cannot be persisted. This is because they cannot be synchronized with the machine that is freeing them. A way must be established to build an object from state other than its public API. ORM comes in multiple patterns with two being the most common. Each table generated is now represented as a class. Each row of those tables is then translated to the object of the corresponding class. At this time, the objects know how to persist themselves in a database. In this pattern, database access is delegated to dedicated Data Access Objects. Data Access Objects (or DAOs) can persist each object and know how to construct objects from the database. As CIO, you must weigh out the option of using ORM or not. ORM can be an exceptional tool when used properly. It can also prove to be a necessary evil for those unfamiliar with its processes. Either way, a general understanding of ORM should be established prior to any use. 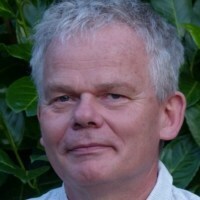 For more information on the basis of ORM, check out Tom van den Broek bachelor thesis, Object Relational Mappings: First Step to a Formal Approach. From a purely operational standpoint, ORM allows you to manipulate objects and save them to a database. In ColdFusion, Adobe uses the industry standard Hibernate for all of its ORM needs. This can greatly simplify your CRUD (Create-Read-Update-Delete) processes and produce more object-oriented code. 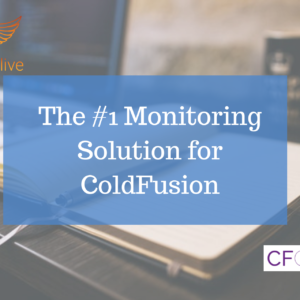 This makes the ColdBox ORM Module a critical application to use when handling ORM inside of your ColdFusion. 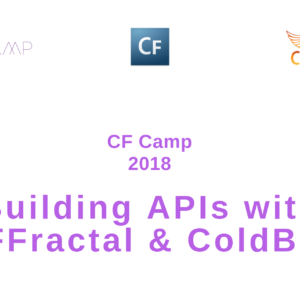 However, for those not using the ColdBox module, let’s take a look at starting your ORM with ColdFusion based Hibernate. “Having done development in other languages, you just don't have the same convenience of all of those built in methods and then you add ColdBox on top of it and you've got all these other conventions and super tight methods you can leverage. With other languages, you find yourself reinventing the wheel over and over and over again to solve problems that were already solved in CFML many many years ago. Two settings must be in order to make an application.cfc file use ORM. Although ORM will work with any modern database, the default datasource and database for ColdFusion are cfartgallery and Derby DB respectively. More settings for ORM can be found under in structure called –that’s right, you guessed it.– ormsettings. LearnCFinaWeek.com provides a great example when starting with ColdFusion ORM. In this example, the logsql has been set to true. This allows the SQL created by Hibernate to display the ColdFusion debugging information. Use cfclocation to determine where the persistent cfc’s will be placed. When this is done, dbcreate will automatically save changes made to both the database and model. An entity is class that is specifically marked to a single database table. This follows the same principle as the Active Record pattern described above in the previous section for CIOs. Properties can be mapped to each column of the table. Each property will have getters and setters, both of which may be automatically generated. These can also be overwritten. It is normally recommended to use multiple “one to many” relationships vice a “many to many” in most circumstances. This helps to avoid later confusion. ColdFusion will automatically add functions to objects for controlling relationships. When retrieving data, you will use two primary functions. For more complicated data retrievals, you can use HQL. This is Hibernate’s Query Language. It is very similar to SQL in its design. However, in HQL ormExecuteQuery will return results just as entityLoad would. Check out this example from Learn CF in a Week, as they create a relationship between art and artist. Retrieve the object by using a different signature with the third argument as a boolean which need to be set as true. Change values with the implicit setters. All values changed will be saved upon completion of the transaction. Changes may be rolled back by using the transitionRollback() function. To delete a record, just retrieve the single record and use the entityDelete function. Sometimes when using the function writedump, CF will try to display relationship information. This can often lead to the display of way more intended information. To prevent this, just provide some additional attributes. 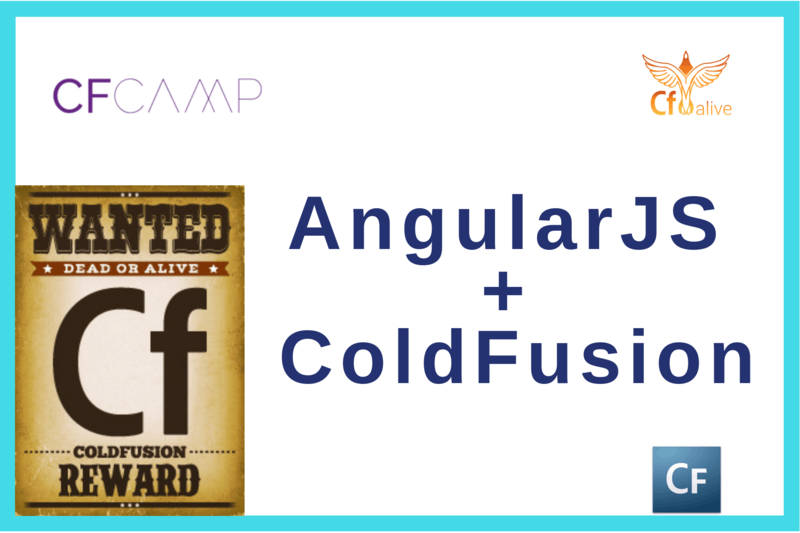 Sometimes, ColdFusion cannot retrieve an entity when called upon. When this happens, the assigned value will be null. For example, if the ID for a particular entity is very high, an error may be produced. Instead of erroring, the art variable is set to null. Using the isNull variable can test for this. This function is exceptionally useful. Whenever any changes are made to entity configuration, you must use the ormReload function for any changes to take effect. This is very similar to reloading a UI when making interface changes. ORM is one of the facets of computer science that can really get under your skin. Yet, we can’t just get rid of it. It is exceptionally useful when applied properly. Perhaps, we should all take the time to understand exactly what ORM does for us. 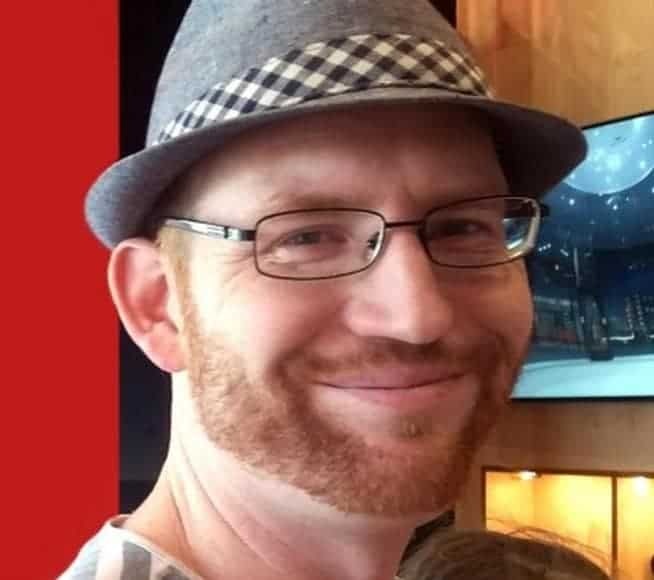 It helps our CF stay alive and more vibrant, so maybe we should show our appreciation a little more for this poor misunderstood creature of programming. Wil graduated in Environmental Sciences and started off his career as a research microbiologist. It took him almost 10 years before he continued fulltime as an IT specialist. 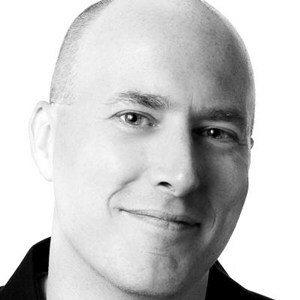 In 1994 he founded Site4U BV, at that time a company specializing in software development and web design. One of his first application was to find Dutch ISPs at local area rates written in PHP/Mini SQL, but soon he discovered this kind of interactive websites could easier be built with DBML using Cold Fusion by Allaire.